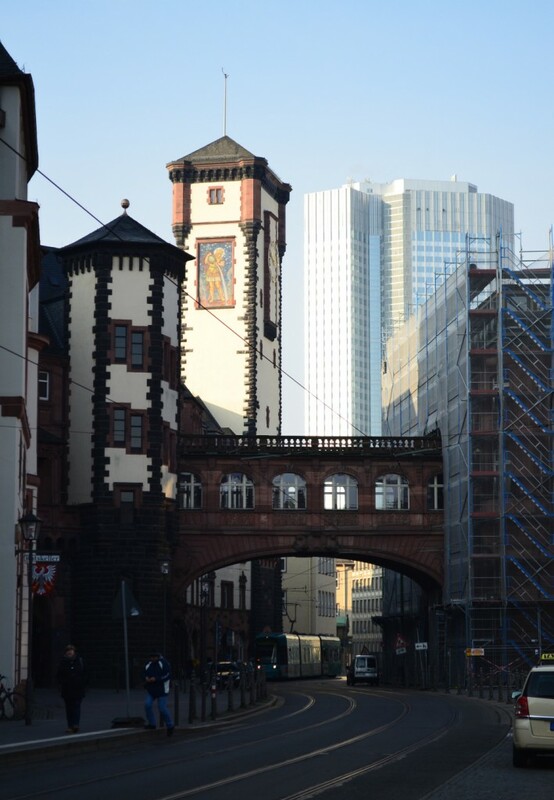 A chilly morning stroll through downtown Frankfurt. 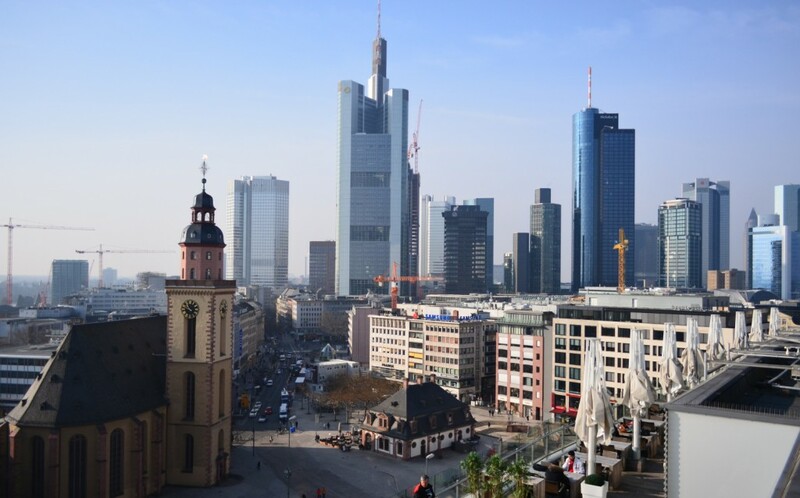 Since the European Union expanded in 2013, Frankfurt is the closest city to the geographical centre of the EU and it’s also the home of the European Central Bank. We were expecting a steel and concrete cold city, with business people running around with serious looks on their faces. 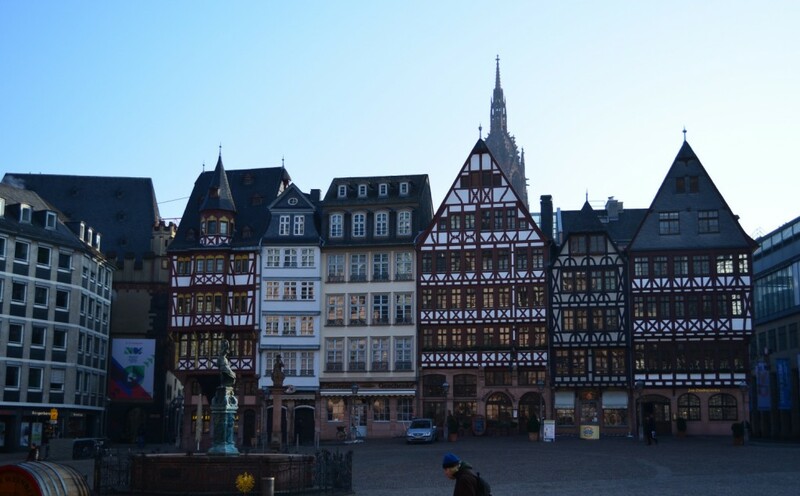 Much to our surprise, downtown Frankfurt is quite picturesque and the 7 AM rush hour was mostly about smiling faces, warm cups of coffee and small cash-only shops selling bagels and pastries. From the airport, we took the metro and got out here, next to the Hauptwache building. 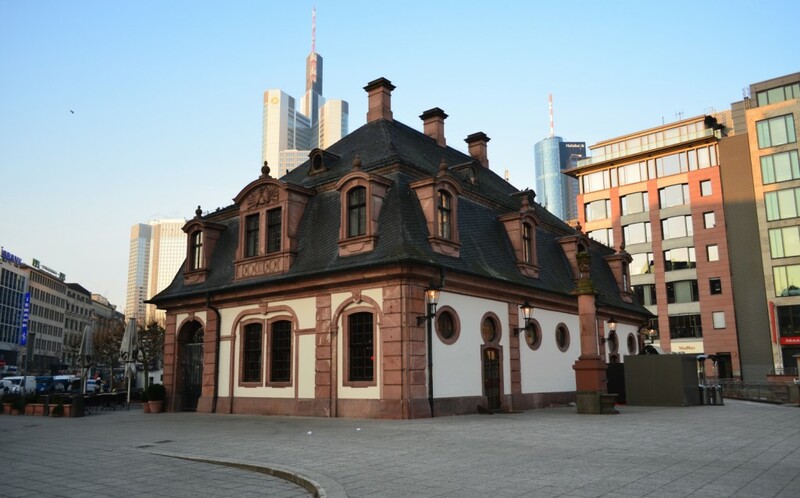 This former guardhouse/prison is the epicentre of what used to be The Free City of Frankfurt, back in 1730. We did not have much walking to do before we reached the former headquarters of the European Central Bank. 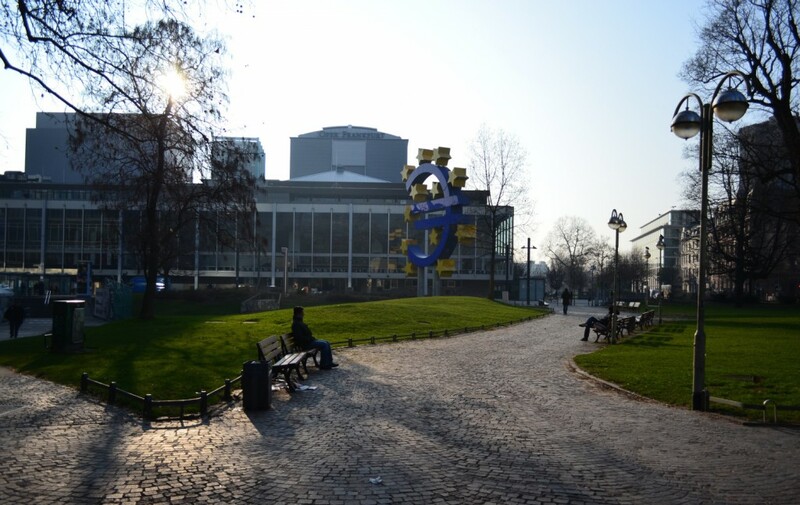 The Euro statue just outside was taken down in 2015. 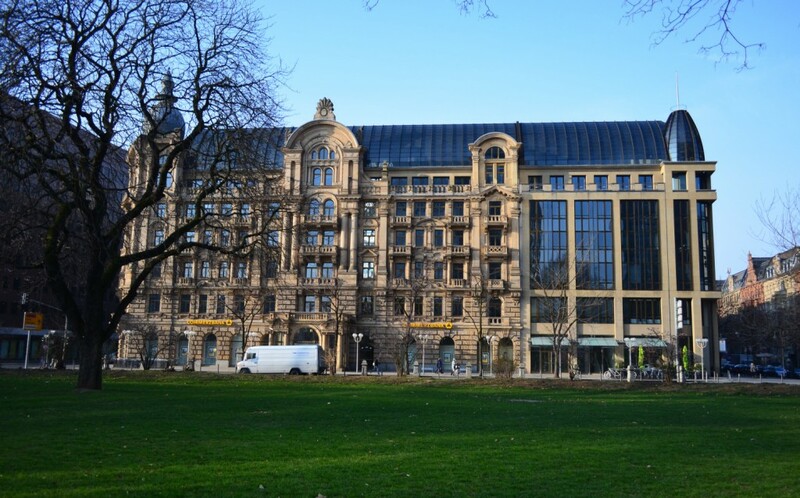 On the opposite side of the square sits the Commerzbank Frankfurt-Fürstenhof Building. With this, we had our fill of corporate and financial buildings so we headed towards the old city centre. Getting close to the Romer square, we could already start to guess the city’s real age. 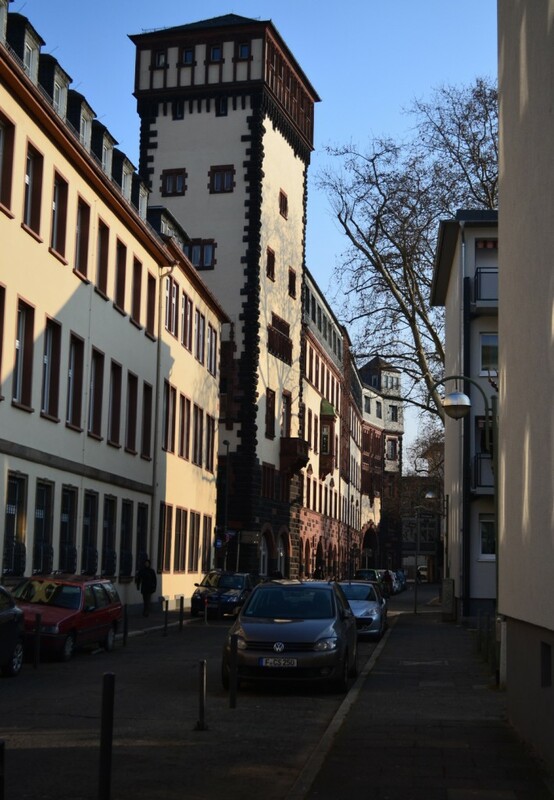 For 600 years, the Romerberg Square buildings have housed the main administrative functions of the city. The look of the square is similar to other medieval squares around Europe but that does not mean I don’t love seeing more! 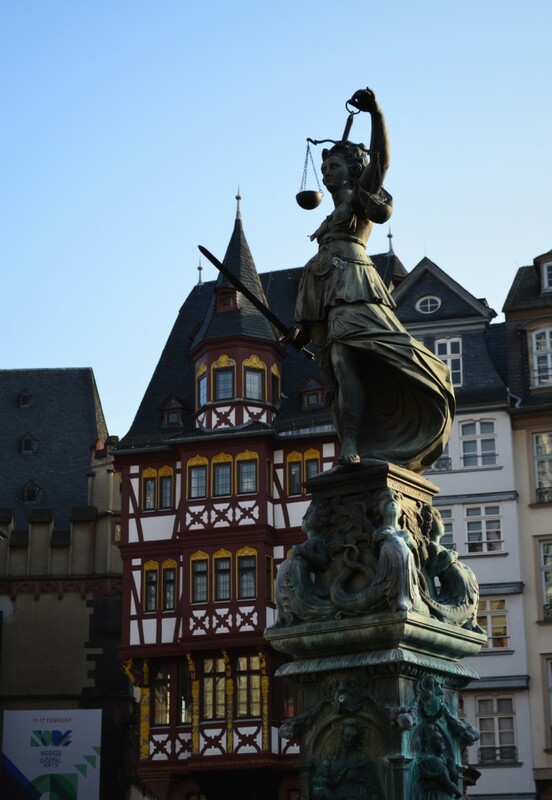 Below, a close up of the statue from the Fountain of Justice, which sits in the center of Romer Square. This beautiful old building on Buchgasse Street was fascinating and as I write this, I am giving up on trying to figure out what it’s called or what its history is. I have exhausted Google Street View and Google Translate trying to find more than just an address. This is a lesson to not just wonder through the streets looking left and right and shooting, travel should be more immersive than this, I should have tried to understand it right there and then. I am sorry! Another view of this elusive building. Maybe one of you can help find its name. The Zeil shopping street has some very interesting shopping centers and you can go all the way to the top to get a better view of downtown, along with a coffee and snack. 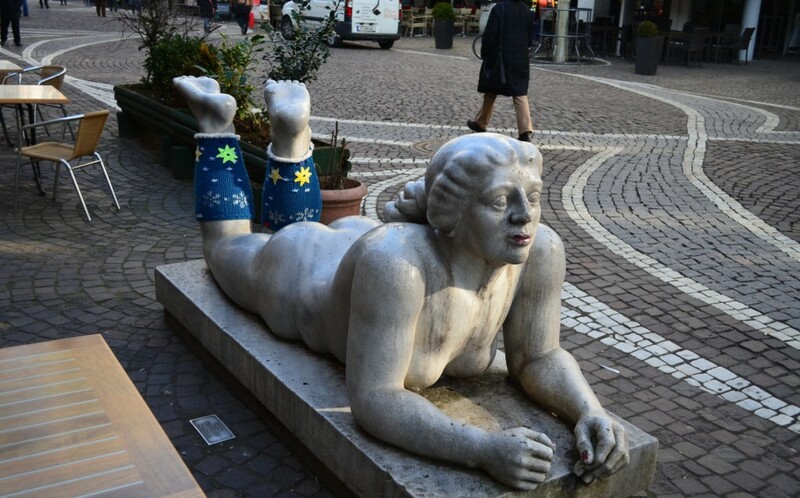 The sculptor of this statue(A big girl in a reclining position by Willi Schmidt) would probably think his work was defaced when someone decided to keep her ankles warm. I think it’s a little charming and brings a modern vibe to the statue. On the other hand, painting her lips and nails is going to far. 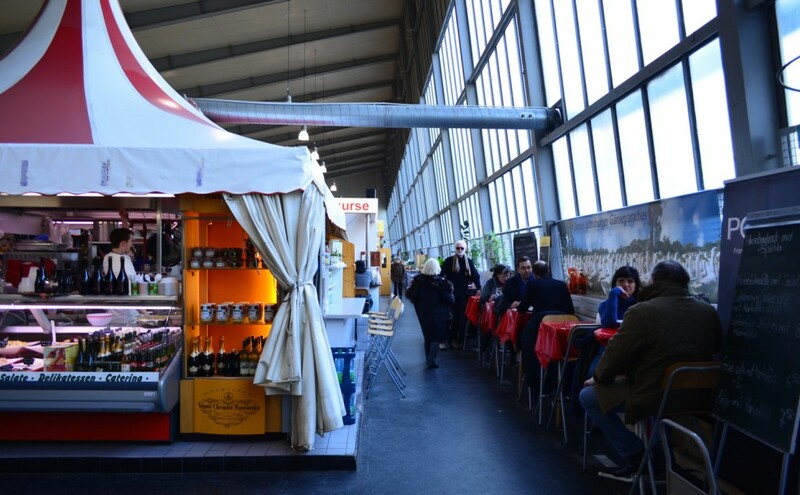 The next landmark we stumbled upon was a market: the Kleinmarkthalle to be exact. I’ve seen this kind of setup before and I can’t wait to have something like this in my hometown. The fresh produce and cured meats and cheeses can be tasted and purchased from the stands inside this huge building. After purchase, you can take a seat at the tables and enjoy your choices or you can buy a sandwich, a cold beer or sweets and just enjoy the freshness. The walls of the market are decorated with panels depicting the history of the market and the many types of food vendors that have offered their delights to hungry pedestrians. 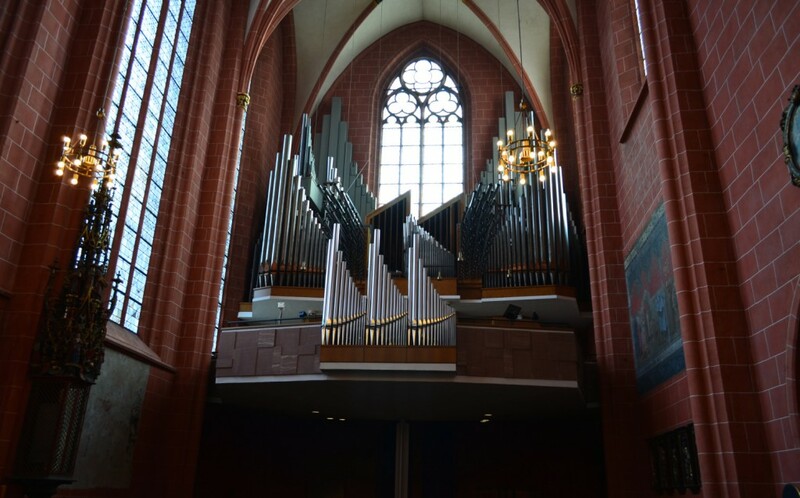 Next, step inside the Frankfurt Cathedral. Its simple decor is comforting and you can study the gothic archways in peace. 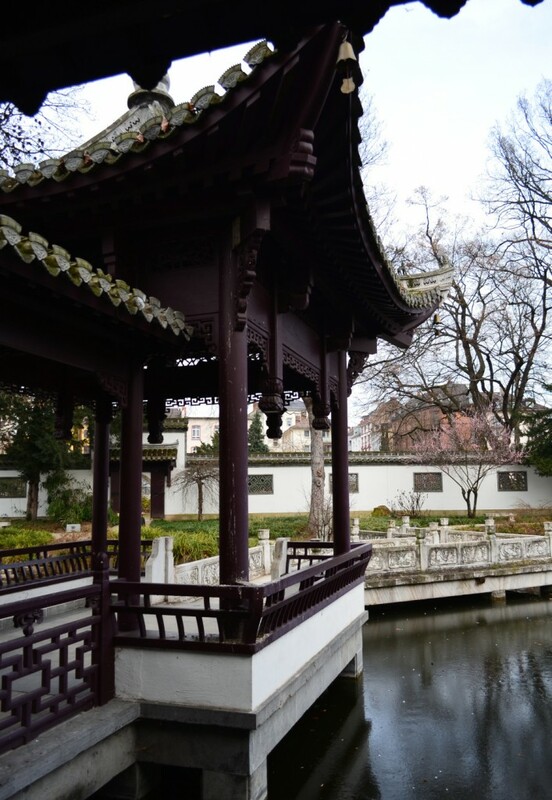 This Chinese Garden was a big surprise, especially since we landed in Frankfurt from Shanghai and though it will be a long time before we will see this kind of place again. Take a stroll around and enjoy the peace and quiet. 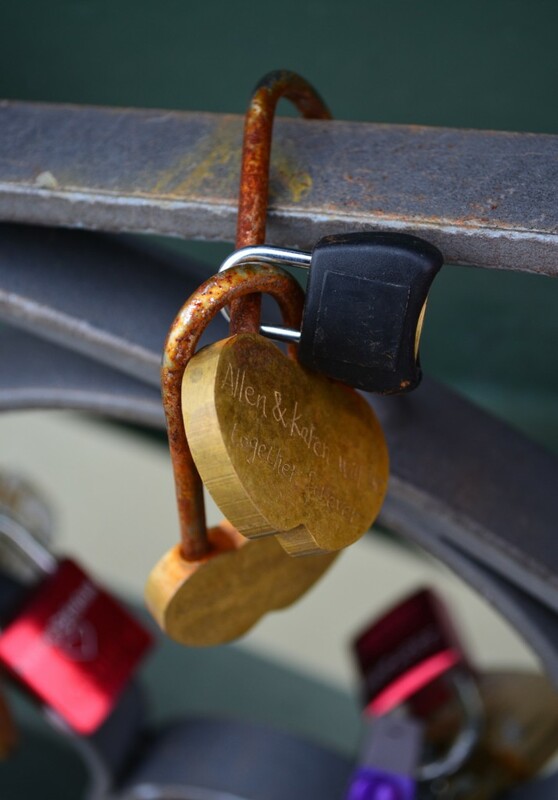 On Eiserner Steg (also known as the Padlock Bridge) we decided to leave our mark and the only lock we had was from one of our backpacks. It did such a good job protecting our luggage that we decide to „honor” it and make it the official guardian of our love. This moment was special to us because it marked the end of a 6 weeks journey which tested our relationship and brought us closer together. 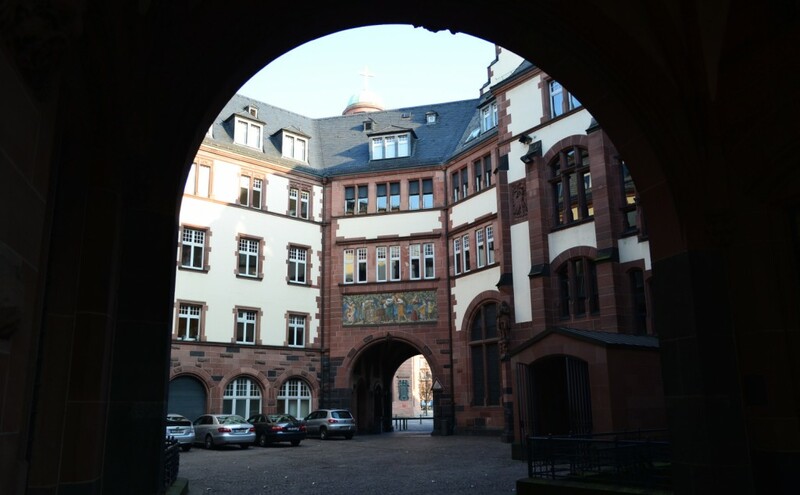 Frankfurt was kind to us, it helped us ease into a „normal” european setting and did a spectacular job at it.